UTA announced today that it wouldn’t be renewing its contract with O’Reilly when it expires at the end of the year. It’s not clear if the decision to end the agency’s longtime association with the professional blusterer was specifically inspired by the settlement—which O’Reilly paid to lawyer Lis Wiehl, and which was by far his biggest settlement to date—or because the agency just doesn’t want to be in the cranky podcast host business anymore. 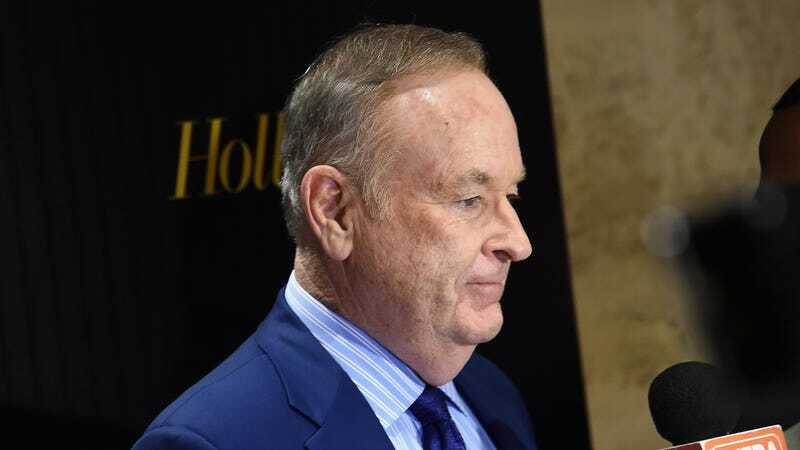 In any case, a representative for O’Reilly—who’s called the latest New York Times piece an effort to “maliciously smear” him, and who claims to have unseen proof as to the real, non-“Your horndog tendencies have become a liability even we are unable to countenance” reasons that Fox fired him—has already secured “alternative representation” for himself.